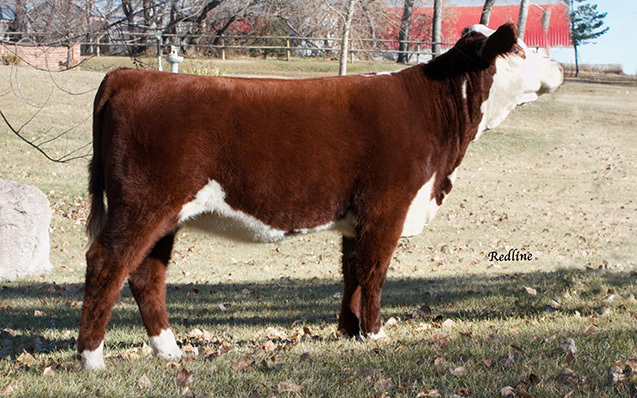 Mr Beef was a calf that immediately jumped out at us when we first saw him on pasture during a summer tour at the Dukes, and every bull calf for the rest of the year was compared to him... We knew we had to add him to our program. 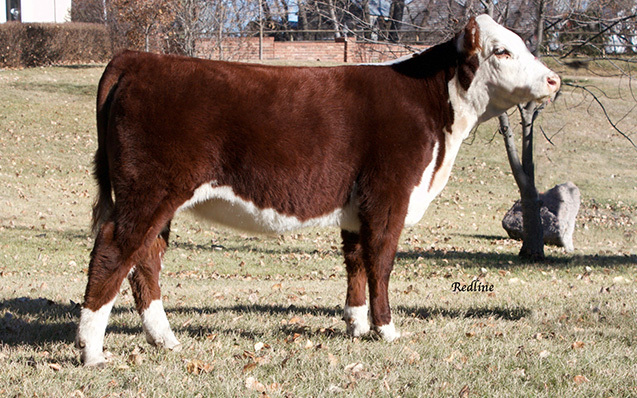 His mother has raised herd bull after herd bull at Square D, and is the ideal cow. 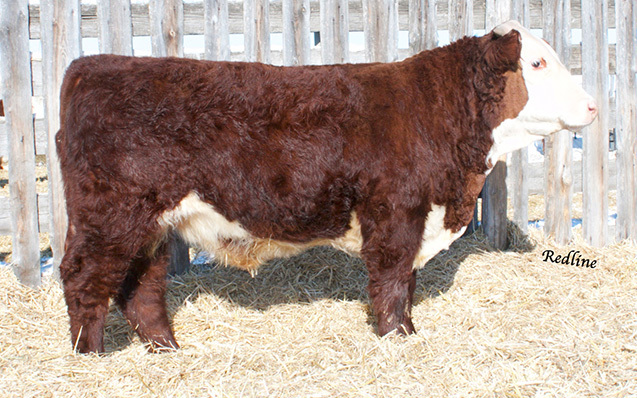 His maternal brother, Square-D John Wayne sold to Brost Land and Cattle two years earlier, and displayed many similar strengths as Beef does. His overall muscle pattern and conformation is extremely balanced. He has depth and top, and carries into a nice wide base. His best feature; his legs, feet, and the way he moves. 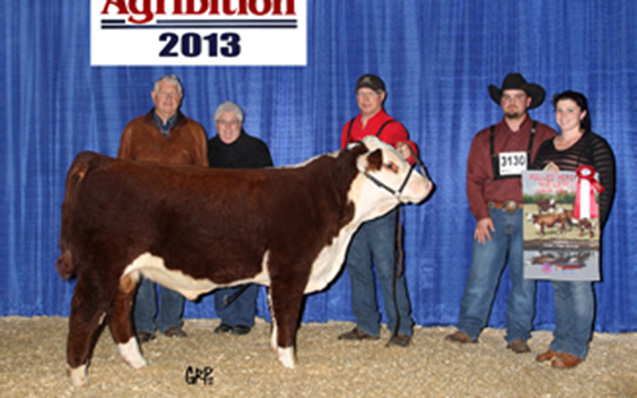 When he was named Reserve Junior Calf Champion at Agribition, Judge Jay Holmes said 'his movement was flawless'. Those who see him since will often say 'he moves like a cat'. 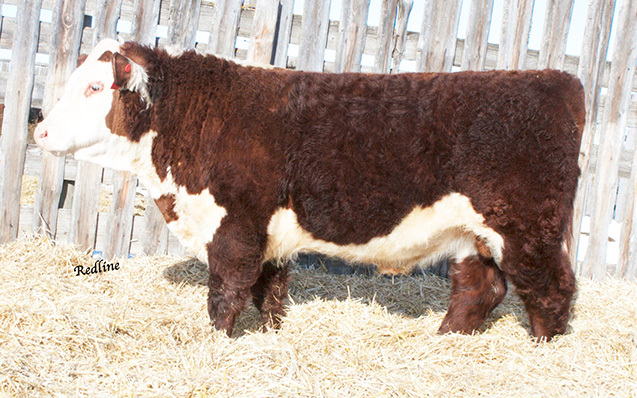 Beef has been an easy keeper since day one, one of the most docile bulls around, and has proven himself to be a unique individual in the hereford breed. 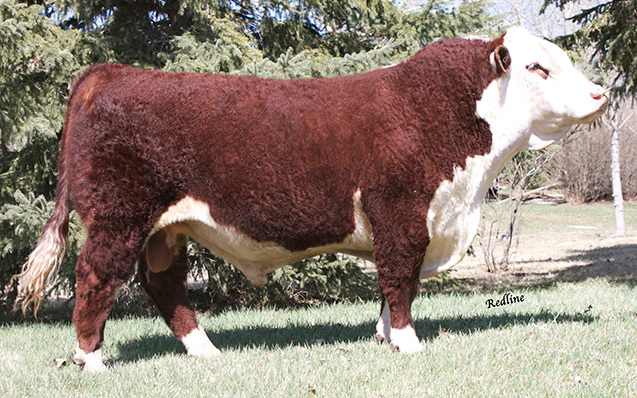 His sons are one of our most consistent and highest performing groups, and they have gone out to work in commercial herds where they have excelled. 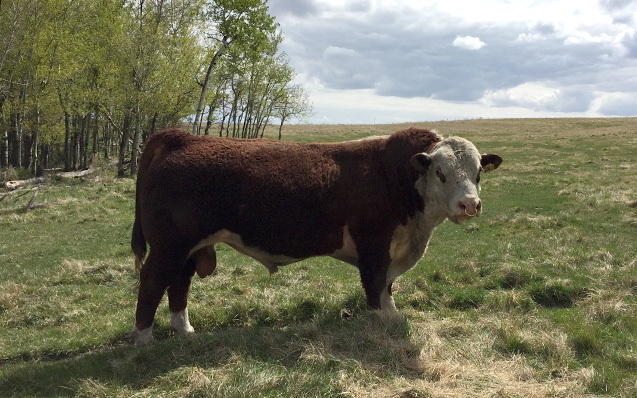 His daughters are coming into production with amazing udder quality, and we fully expect that longevity is going to be one of Beef's most ideal traits.